J.Laverack frames are available in 8 sizes (48,50,52,54,56,58,60 and 62cm) ensuring a great fitting bike for all of our customers that fall within this range. 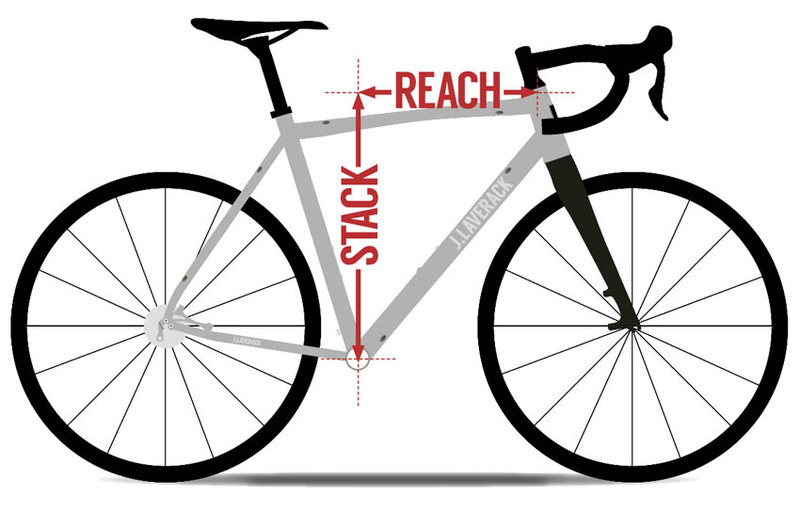 Whilst our frames are available in the traditional sizes most cyclists will be familiar with, we also publish stack and reach measurements as they give a much better indication of how a bike will feel to sit on, especially when comparing to your current bike. What are stack and reach measurements and why are they important? 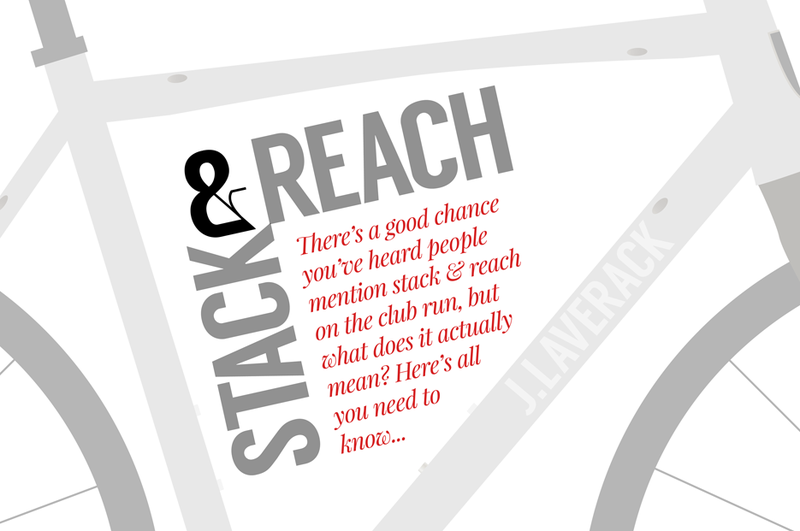 Stack is the vertical distance in millimetres from the centre of the bottom bracket to the centre of the head tube and Reach is the horizontal distance in millimetres from the centre of the bottom bracket to the centre of the head tube. Both measurements are taken from the same points on every frame making them the only reliable dimensions when comparing frames. By using Stack and Reach to design our frames we can ensure that each size is proportionally larger or smaller than the size above or below it. Traditional frame sizes are a bit like shoe sizes in that they can vary considerably from one manufacturer to another as not all bikes are measured in the same way. What one manufacturer calls a 56cm frame can be equivalent to a 54cm or even a 58cm frame from another manufacturer in terms of how their Stack and Reach measurements compare. If you’re in any doubt as to what size you need then contact our build team who will be only too happy to help. By taking some simple measurements they can accurately recommend a frame size, stem length, handlebar width and crank length to make sure you get the best possible fit.